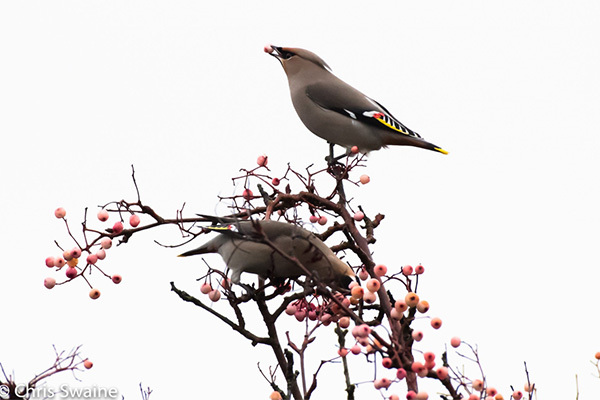 Earlier today, Chris Swaine tweeted his sightings of a small flock of waxwings near the former Slipper pub in Crofton. Although there seems to be hundreds of waxwings up and down the country at the moment, these are the first we’ve heard about in the Wakefield district. This entry was posted in Birds, Nature notes, Sightings by John Gardner. Bookmark the permalink.